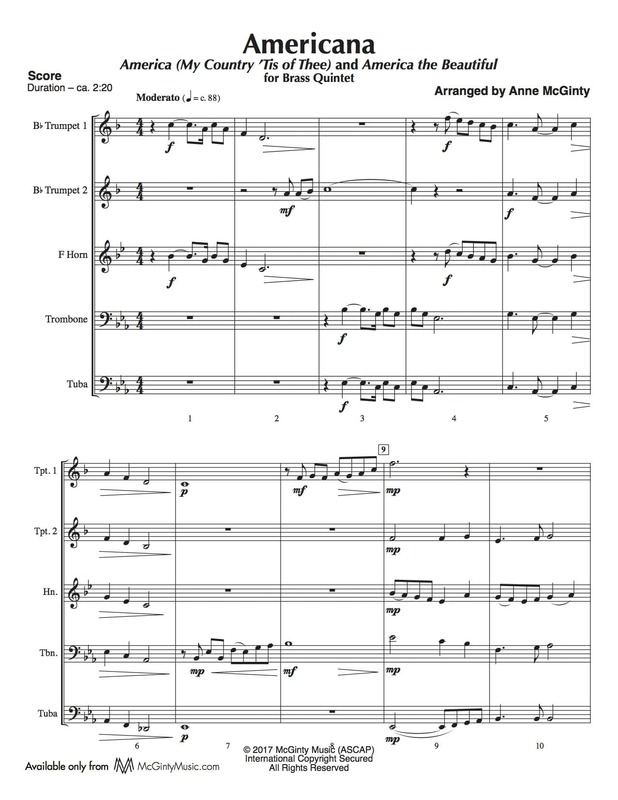 Americana – Brass Quintet | McGinty Music, LLC. Two of America’s favorite patriotic songs, America (My Country ’Tis of Thee) and America the Beautiful, are the foundation for this arrangement. With a brief, open fifth fanfare as an introduction, the songs are presented in a straightforward manner, with moving eighth note lines adding color and texture. Both songs are safely in Eb, easy to play with minimal rehearsal, and suitable for any patriotic celebration.